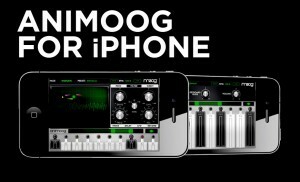 Animoog is Moog Music’s first professional synthesizer is now available for the iPhone and iPod Touch. It was the first music app in history to hit number one in the App Store on the day of release. Additionally, in the 2011 App Store Rewind, Apple named Animoog one of the best apps of the year. Must have arm7 processor (iPhone 4, 4s; iPod Touch 4th gen) minimum to run Animoog for iPhone. LIMITED TIME INTRODUCTORY PRICING $.99 regular pricing $9.99.